Pakistan was reeling on Tuesday from a major terrorist attack: an overnight assault on a police training college in the southwest that officials said had killed at least 61 people, most of them cadets. The attack, carried out by three militants wielding guns and explosives, also wounded 120 people at the college outside Quetta, the capital of the restive province of Baluchistan. The militants struck late Monday and battled security forces for several hours before they were killed. Two detonated suicide vests, and the third was shot, said Mir Sarfraz Bugti, a provincial minister. The Amaq news agency, which acts as a news wire for the Islamic State, posted a picture of three men holding guns and wearing ammunition vests who it said were the attackers. 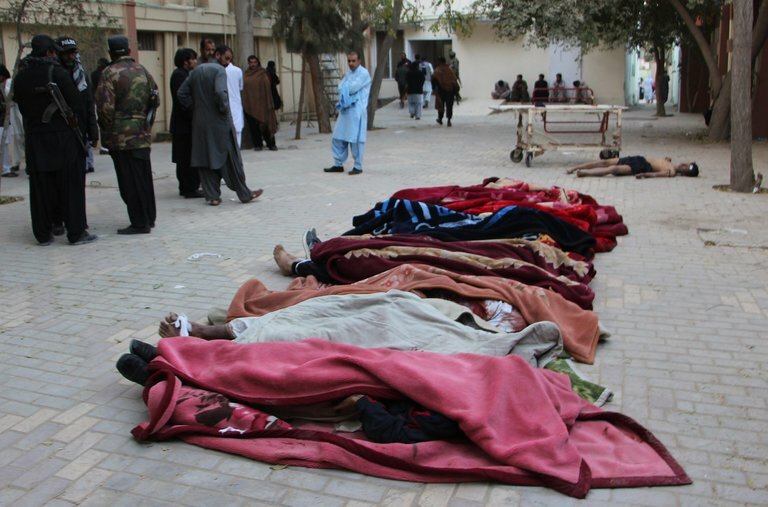 The Islamic State had also claimed responsibility for the last major attack in the Quetta area, an August suicide bombing at a hospital in the city that killed dozens of lawyers. However, Pakistani officials had earlier blamed Lashkar-e-Jhangvi, a banned militant group affiliated with the Taliban, for the assault on the police college. After the Islamic State claimed responsibility, a senior security official, speaking on the condition of anonymity because he was not authorized to talk to the news media, said the Islamic State had “outsourced” the attack to Lashkar-e-Jhangvi. Mr. Kakar said that some of the wounded were in critical condition and that the death toll could rise. “We are investigating the failure of law enforcement agencies,” he said.